Improve the air in your residence with Sound Cleaning residential air duct cleaning services. Professional residential air duct cleaning is essential for improving overall indoor air quality in your home and reducing the magnitude of dust, mold and allergens, such as pollen and pet dander, in the air. Regular air duct cleaning also ensures that your heating/cooling system is running efficiently which can reduce your energy bills. If you are looking for a residential air duct cleaning services company, Sound Cleaning Resources will get the job done. How do you clean my air ducts? We use specifically designed rotating brushes and a powerful vacuum for your vents, grilles and the entire air duct system. Utilizing a 10,000 CFM (cubic feet per minute) extractor attached to a long hose with a rotating brush on the end, we scrub the inside of each individual vent while simultaneously suctioning the debris free. The debris is extracted and removed off-site. We do this on the way in and the way out of each vent. What kind of ducts do you clean? 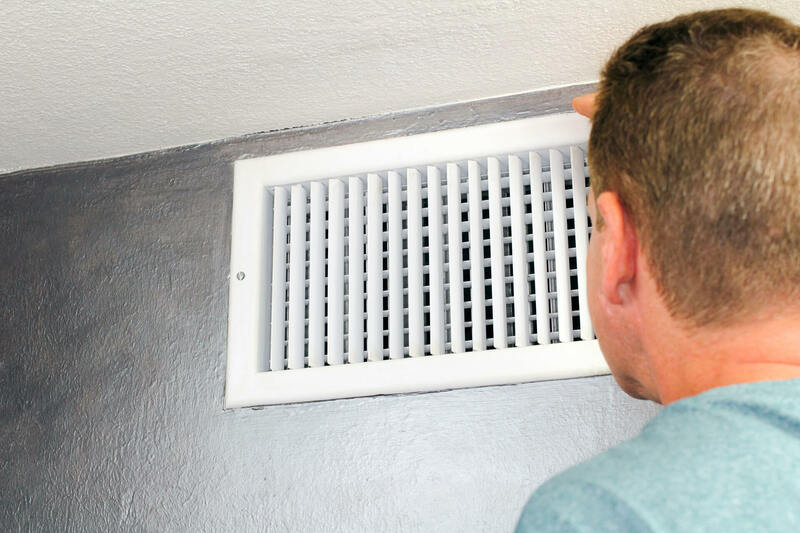 We have residential air duct cleaning services for heating ducts, cold air return ducts, dryer vent ducts, exhaust fan ducts, furnaces, and more. We also offer commercial air duct cleaning. Do you use chemicals or sanitizers in your residential air duct cleaning? No. Our system utilizes three components recommended by the National Air Duct Cleaning Association (NADCA) to thoroughly clean your air ducts: 1) Scrubbing, 2) High powered blowing and 3) High powered extraction. When all three occur it is not necessary to use chemicals that can be harmful to the environment. Sound Cleaning is proud to utilize this earth sustainable process which is also safer for you and your loved ones. Do you clean dryer ducts? Yes, we do dryer duct cleaning. Using a rotating brush and extractor, dryer ducts, flexible tubing and the dryer tube connected to the dryer are scrubbed and extraced on the inside loosening lint, dust, debris particles, pollen, dander, etc. Will vacuuming my vents alone thoroughly clean my vents? debris. From NADCA website: A vacuum collection device alone will not get an HVAC system clean. The use of methods and tools designed to agitate debris adhered to the surfaces within the system, in conjunction with the use of the vacuum collection device(s), is required to clean HVAC systems (For example: brushes, air whips, and skipper balls). What guidelines do you follow for residential duct cleaning? Our technicians follow the guidelines of the National Air Duct Cleaners Association (NADCA). Are you insured for residential air duct cleaning? Do you have references specifically from other residential air duct cleaning customers? Yes, we will be happy to provide you with names and numbers of current customers. How much does it cost for residential air duct cleaning services? It is $20.00-25.00 per heating vent, $40.00-45.00 per cold air return, $40.00-45.00 per dryer vent or $175.00 if done individually and $40.00-$45.00 per exhaust fan depending on the number of ducts and accessibility. Call us at (425) 451-3337, click here for an online estimate form or email us at info@soundclean.com for a free customized estimate. Boni and crew did a great job! Awesome service. Petru did a fantastic job. Professional service and professional results, thank you! How many square feet is the home or building? How many cold air return vents? Optional: How many exhaust fans in bathrooms? How many square feet of carpets? How many floors of carpeted area? How many rooms of carpeted area? What are the areas/rooms to be serviced? What do you need high dusted? How many levels need to be cleaned? What phase of the construction project would you like cleaning? When is the completion date? What types of surfaces need to be pressure washed? How many stories need to be pressure washed? What areas need to be pressure washed? How many trash chutes require cleaning? How many stories or levels? When was the last time the chute was cleaned if known? What type of roof needs to be cleaned? Metal, composite shingle, asphalt, cedar shake, tile, etc. How many stories high is the roof? 1 story, split level, 2 stories, 3 stories +, etc. How steep is the roof? How many blinds and/or shades? What type of blinds and/or shades? How many blinds/shades are more than 5' in width or length? How many screens to be cleaned? How many skylights to be cleaned? What type of wood flooring? Oak, maple, prefinished, laminate, etc. © 2019 Sound Cleaning. A 4th Avenue Media Production.